GRAND FINALE, 2007: Pictured is festival host Gary Lamprecht directing the Grand Finale at the inaugural California International Choral Festival and Competition. It happens just once every two years. Professional singers from all over the world take the town by storm, their crystalline voices echoing in English, French, Indonesian, or Swahili. Their music is culled from church hymnals, African folklore, Michael Jackson, or Elton John. Some performers dance barefoot onto the Performing Arts Center stage, others file onstage clad in floor-length robes. They’re the participants of the California International Choral Festival and Competition, a world-class event now in its sixth year. But for some choral groups traveling from such exotic locales as Indonesia, Uganda, and the Republic of Congo, simply being granted entry to the United States is cause for celebration. Every other year, international choirs face the challenges of raising the funds needed for airfare and a travel visa to the United States. Organizers Patricia Harris—executive director of SLO Vocal Arts Ensemble and of the choral festival—and Judith Carleson, the festival’s marketing director, liken the event to “a choral Olympics.” Indeed, past years’ festivals have seen breathtaking performances by the likes of Finland’s Oulu Chamber Choir, the Basque group Landarbaso Abasbatza, and Macedonia’s St. Zlata Meglenska, in addition to several talented California groups. Uganda’s Christ the King Church Choir, who brought their dance moves and brightly colored fashions to the stage in 2007, will be welcomed back to the festival again this year. But this year, as in others, several international choirs have been less fortunate in their attempts to visit the United States. A suffering economy makes it tough to get the funds together for such a journey in the first place, but it also doesn’t make it any easier to trust that Indonesian, Congolese, or Ugandan singers will dutifully return home after participating in the festival. Just a week before their scheduled arrival, the Republic of Congo’s Bangelus Choir, based in Brazzaville, announced their group’s cancellation due to their inability to secure a visa. At the time of this writing, the Indonesian women’s choir Lembaga Karsa Cipta was still hoping to secure funding just days before their departure date. 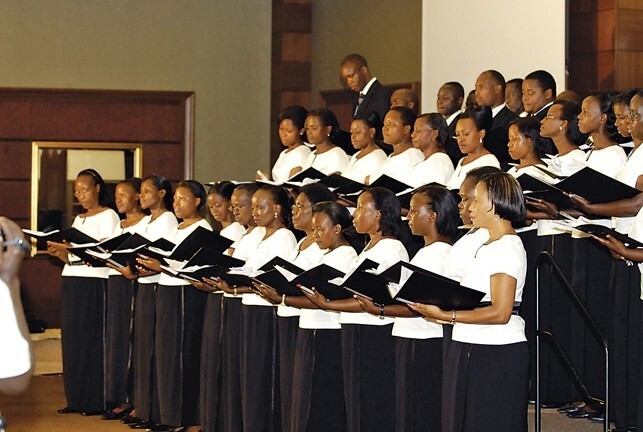 In Uganda, a typical visa interview of one hour costs $140, equivalent to many choir members’ monthly salaries. Some choirs count on seeing only some of their members make it overseas. 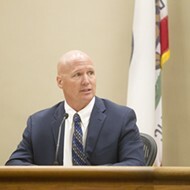 Harris and Carleson still recall an incident in which a Christ the King singer was unable to travel with her group to the Central Coast because of a blister on her finger. At her appointment at the U.S. Embassy in Kampala, Uganda, she was told she couldn’t be fingerprinted with the blister, and instructed to come back once it had healed. When she later returned, blister-free, to the same embassy, she was told she was too late. Harris, Carleson, and staff do their best to maintain both flexibility and professionalism in the festival’s ever-changing landscape. It’s an exhausting job, but once that first choir goes onstage, Harris said, all frustrations are forgotten. The festival officially kicks off at 6:30 p.m. on June 24 with an Opening Night Bash in the Performing Arts Center’s upper lobby. Guests have a chance to mingle with the directors of participating choirs, as well as the festival’s host, longtime choral instructor Gary Lamprecht. For those whose love of the vocal arts runs lamentably deeper than their pockets, a free concert takes place the night before the festival’s opening, on Garden Street in San Luis Obispo during Farmers Market. SOLI DEO GLORIA : The Fresno-based women’s group takes its name from the Latin phrase Johann Sebastian Bach inscribed on his compositions. The festival isn’t short on California vocal talent. The Riverside City College Chamber singers, Fresno’s women’s chorale Soli Deo Gloria, and the University of Redlands Chapel Singers represent the state’s diverse and creative choral landscape. The festival’s Required Pieces Competition—held June 25 at 10 a.m.—is one of the most intense of the weekend’s events: Each choir performs the same two pieces of music, while the judges evaluate their performance, noting their strengths. The event is free, and audience members are welcome to come and go as they please. That night marks the festival’s Folk Song Competition, in which each choir, dressed in traditional costume, performs folk music from their country. These colorful performances tend to be the weekend’s most daringly bombastic: Previous performances included handmade African drums, Basque wedding costumes, and giant sparkly peace signs (the latter worn by singers from Cuesta College). On Sunday afternoon, though, they’ll rein it in again with the more formal Choir’s Choice Competition, for which each choir presents 12 minutes of their finest musical selections. Choir’s Choice, Harris said, tends to be more classical, and is a favorite among diehard choral fans. At the end of the day, the top three choirs receive awards and are asked to perform a song of their choice. Then, in a moment many choir lovers consider the most moving, all participating groups come onstage to perform “This Is My Song” from Finlandia, a symphonic poem by Finnish composer Jean Sibelius. ‘A VERY CLANDESTINE OPERATION’: Members of the all-male, all-Filipino a cappella group Prime Note Ensemble covertly formed the group as overseas foreign workers in Saudi Arabia. 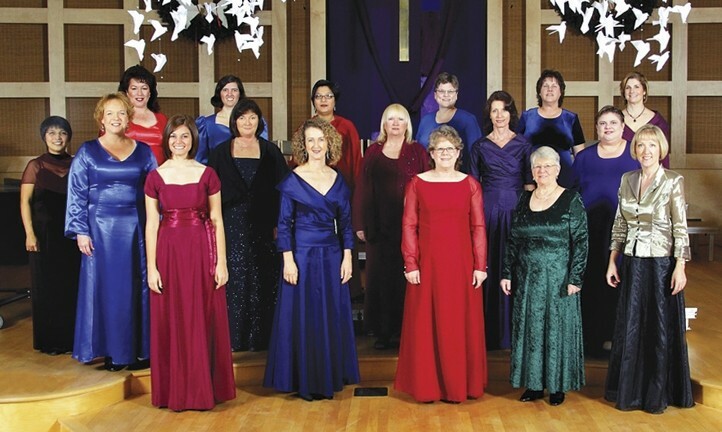 Organizers Carleson and Harris often emphasize that choral music need not be religious or classical, though such descriptions describe many of the participating groups. The styles showcased in the festival also tend to vary between the still, somber delivery of some groups and the dancier performances by others. A traditional Ugandan choral performance, Sekyewa said, features the frequent interjection of dancing and the “Ugandan orchestra” of drums, xylophone, lyres, and flutes. Saudi Arabia’s first Filipino choir? 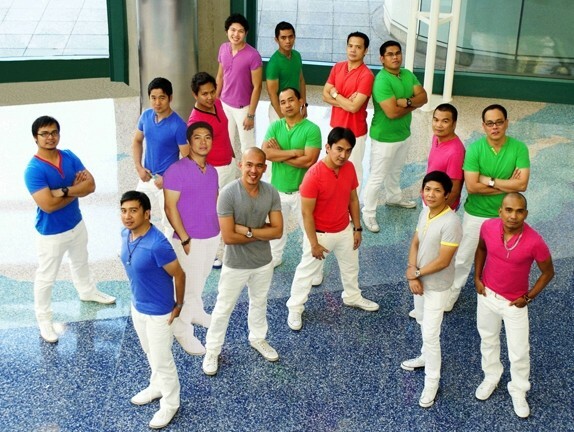 Simply answering the question “Where are you from?” is a complicated affair for Prime Note Ensemble, an all-male group of Filipino-born singers who met as overseas foreign workers in Saudi Arabia, covertly formed an all-male a cappella group there in 2001, and currently live in L.A. on extended visas. Dennis Quiambao, founding member of Prime Note Ensemble and the group’s official spokesman, had been working in Saudi Arabia for 10 years as a contract advisor for the oil company Saudi Aramco, when the choir began. Quiambao, fellow expatriate Medard Obida, and several other Filipino foreign workers—whose only musical experience involved singing in the shower—took on the significant risk of forming a singing group in Saudi Arabia, a strictly Islamic country whose religious police regard any unauthorized gathering as suspect, as it might signify the observance of a religion other than Islam. UGANDA BE KIDDING ME! : The Christ the King Church Choir has been singing at Sunday mass in their native Kampala, Uganda, for 75 years. “Congregation in Saudi Arabia of any form is strictly prohibited,” said Quiambao. Prime Note Ensemble rented and soundproofed half of a choir member’s studio apartment for use as a rehearsal space. That the apartment was on the top floor was of great importance, as the sound could travel upward without neighbors noticing. “We never had any problems in that room, but that was quite a risk that we were taking,” Quiambao said. Being caught would have meant arrest, questioning, and some time spent in jail. “But we managed to be discreet,” he said. The apartment was across the street from a mosque. As Prime Note Ensemble honed their craft, they began performing at small, strictly Filipino events in their adoptive land. But when invited to participate in the 2006 World Choir Games in Xiamen, China, the men knew they had reached a new level. “We thought we’d join this competition just to experience it,” Quiambao said. The group was the first choir to represent Saudi Arabia in an international competition. The Xiamen competition would change everything for Prime Note Ensemble. It was there they met their current choirmaster, Novem Cabios, who stepped in when Obida left. After Xiamen, the choir was invited to compete in France in 2007 and Austria in 2008, where they placed second. A move to Los Angeles, shortly after the group’s participation in the California International Choral Festival in 2009, saw some members leave the group to continue working in Saudi Arabia, while others would quit their jobs and move on to the next continent, the next phase of their career. TOO MUCH TO LIST! 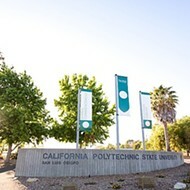 : The 2011 California International Choral Festival and Competition takes place at the Cal Poly Performing Arts Center June 24 through 26. There’s also a free concert downtown on Garden Street on June 23 during Farmers Market. For more information, including a full schedule of events, visit californiachoral.org. For tickets, visit pacslo.org or call the box office at 756-ARTS. Prime Note Ensemble, known for a cappella renditions of pop songs, returns with their arrangement of “The Circle of Life” from The Lion King. 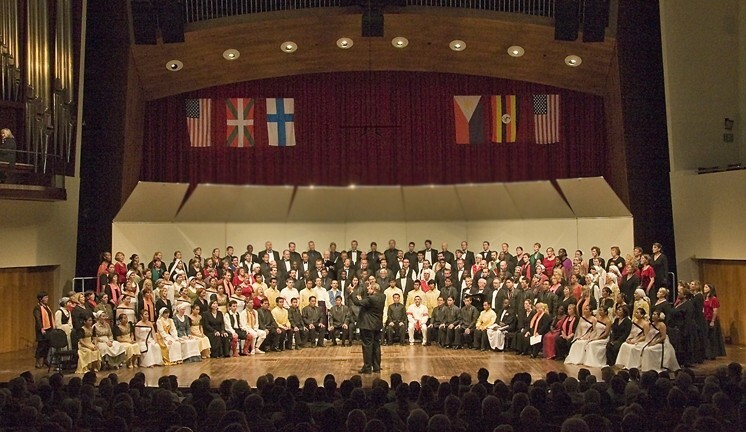 The year hasn’t been easy for the International Choral Festival. But it’s clear the event, which frequently sells out at the PAC, isn’t going anywhere. Carleson and Harris, not at all daunted by the year’s difficulty, are already dreaming of a future for the festival that’s more streamlined, ethnically diverse, and musically experimental. There will be, sadly, many voices absent from the resounding Grand Finale concert, when all of the choirs and the audience sing together. But it’s this fleeting, beautiful moment of unity that keeps audiences and choirs coming back, keeps organizers dreaming, and keeps the festival’s spirit alive. Contact Arts Editor Anna Weltner at aweltner@newtimesslo.com.